offers areas for full body burials that allow flat and upright headstone placements. 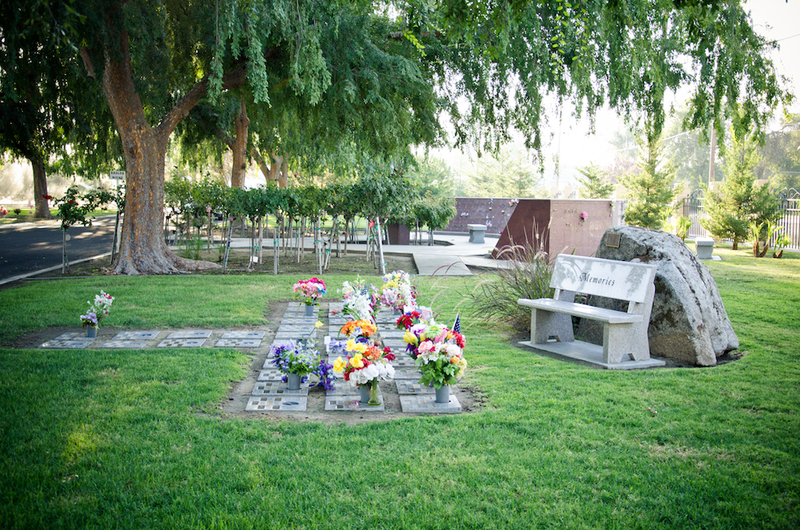 Services can be held at gravesite, our Pavillion or in our Cemetery Chapel. Fees vary for different areas and types of services. 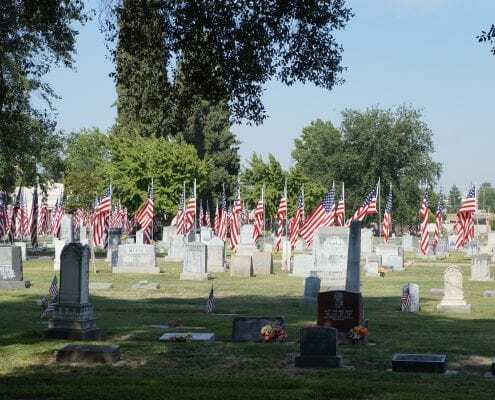 The Avenue of Flags currently has nearly 1800 casket flags that fly each Memorial Day. Our local Avenue of Flags committee is dedicated to the preservation and storage of these special flags. 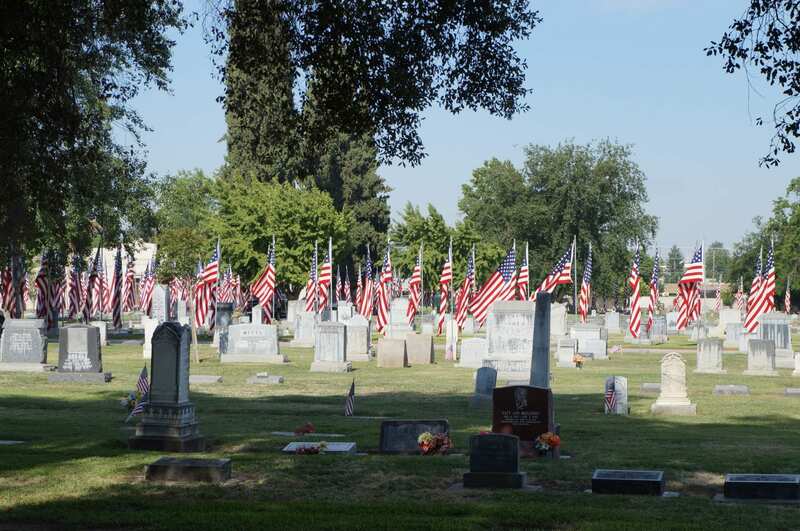 Each flag bears the name of the Veteran whose casket was covered by it at burial. Each flag is given a number which corresponds with it’s place in the Avenue of Flags. Memories, Serenity, Faith and Geneva’s Garden…. 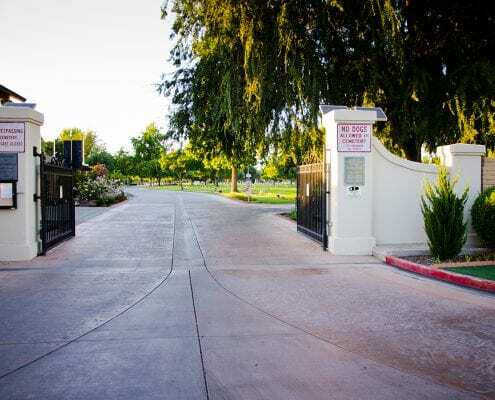 are very unique ossuary areas located within our cemetery. These areas offer co-mingling family type burials for cremated remains. These ossuaries will allow up to six cremated remains and includes a marker and flower vase. The current fee for each burial is $735.28. 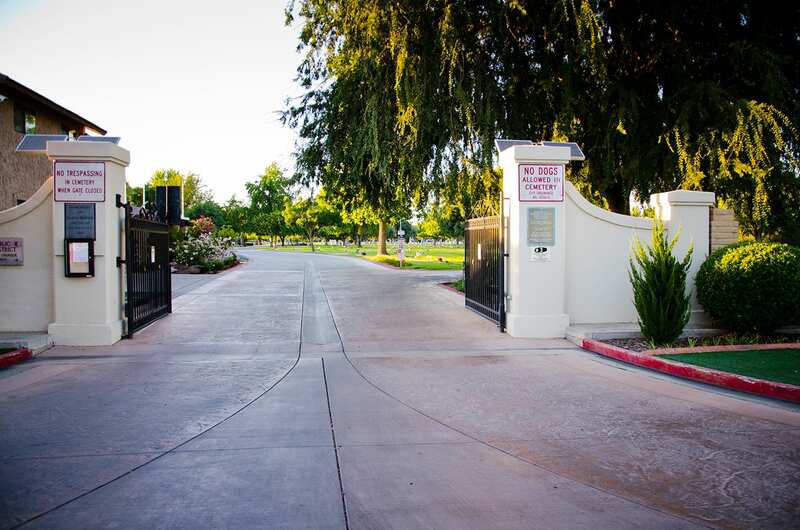 The Visalia Memorial Gardens offers crypt and niche burials. First constructed in the 1960’s. Phase III was recently completed. 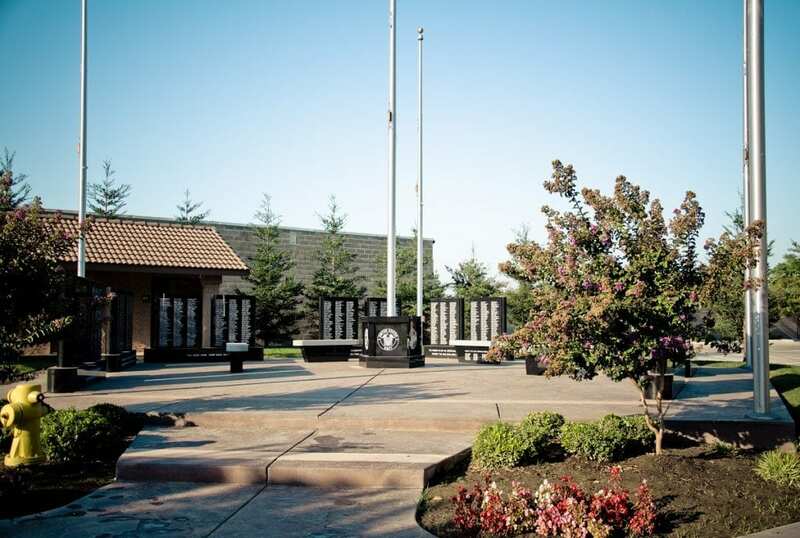 Location: Visalia Public Cemetery, 1300 W. Goshen, meet at the Veteran’s Memorial Wall, inside the front gate on the left. No sign up, no commitment, no charge, all are welcome. Walk at your own pace, as few or as many loops as you want. Stop by the office any time after 7:30 and before 9 for a cup of cold water or a cup of hot coffee. Call the office a 734-6181 with any questions. Currently, our staff offers more than 93 years combined experience. At-Need, Pre-need, Genealogy, Cemetery history, and research services are available. 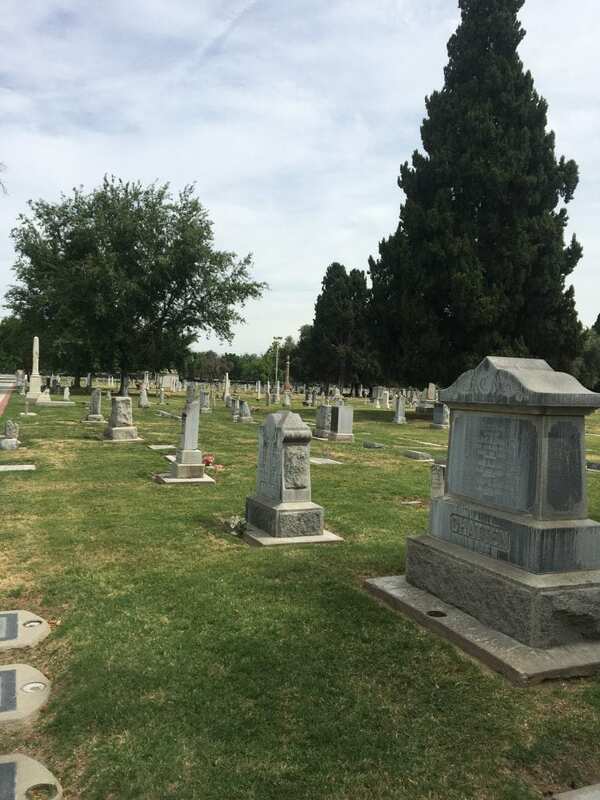 The Cemetery staff strives and takes great pride in providing care, compassion, and concern for “our” families at their time of need. Financial Transactions Report and Compensation Report.